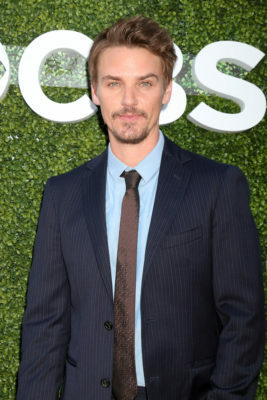 Riley Smith is staying at The CW. Deadline reports the Frequency star will recur on the network’s upcoming TV show Life Sentence. The dramedy stars Lucy Hale as Stella, a young woman who finds out her cancer is cured after having spent the last eight years living like she was dying. The cast also includes Elliot Knight, Dylan Walsh, Gillian Vigman, Jayson Blair, Brooke Lyons, and Carlos PenaVega. On Life Sentence, Smith will be playing ” Dr. Will Grant, a rough-around-the-edges oncologist with a secret soft spot for his patients.” The series is set to premiere on The CW in early 2018. What do you think? Did you watch Smith on Frequency? Will you watch Life Sentence? More about: Life Sentence, Life Sentence: canceled or renewed?, The CW TV shows: canceled or renewed? Life Sentence: Is The CW TV Series Cancelled or Renewed for Season Two? I think we will try this this show. Sounds interesting! Sounds like something I will watch!